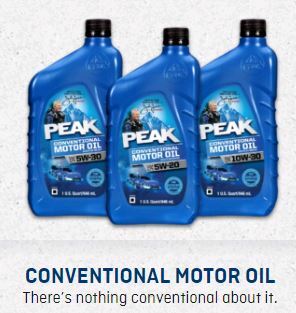 Products For All Of Your Needs ​Under The Hood. 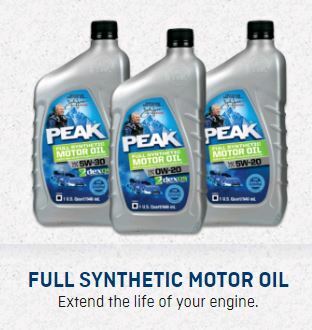 PEAK’s parent company, Old World Industries, is an independent, family-owned business that has been a leader in the development and distribution of high-quality automotive products for over four decades. Yes, there’s a 40-year history of American ingenuity constantly pushing and never settling for less than quality products at a fair price. Forty years of entrepreneurs developing products for the most extreme climates & working conditions that equal billions of miles on the road in big rigs and billions of hours of heavy equipment in the mines and on the farm. 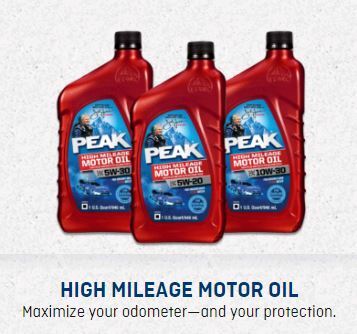 Our complete selection of PEAK® Motor Oils are formulated with high-quality petroleum base stocks and fortified with advanced additive technology. 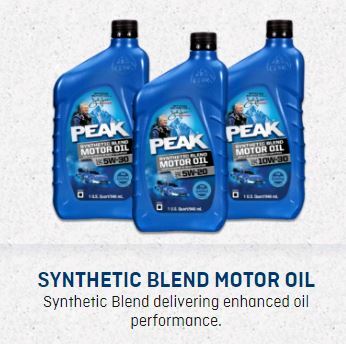 These advanced additives are consumed by the vehicle’s engine over the course of the oil’s lifespan or drain period. As the oil performs its job of trapping combustion’s harmful by-products it gradually becomes less efficient and effective. That’s why oil must be changed on a regular schedule and why an oil change is one of the most important, and easiest, vehicle maintenance tasks. To find out how the Peak Oil Change Rebate ​Program coupon help increase your profits, contact your Orange Line Oil sales rep for details.